As the growing sector of gastronomy tourism continues to evolve, we look at how long-standing traditions and cultures in regions around the world are becoming the experiences that travelers are searching for. The value chain of gastronomy tourism is the collaboration of the private and public sectors to add value and growth to regions. It connects the local community, from the farmers to the wineries, restaurants and accommodations. How the private and public sectors work together and create a cycle of sustainable tourism that gives back to local communities in regions around the world. We explore Blue Mountain, in the Canadian Province of Ontario where there’s a gastronomy adventure in “Apple Country” known as the Apple Pie Trail. This region is a well-known apple growing industry since the 1800’s and they have created a Culinary trail that involves many key points that represent the value chain of Gastronomy Tourism. 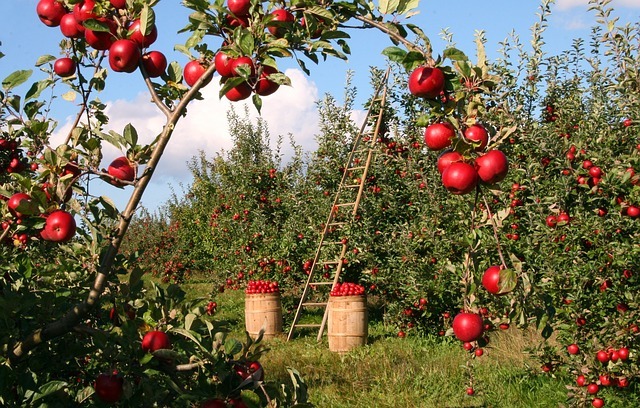 It was inspired by South Georgian Bay’s apple-growing history and the objective was to join food, adventure and local experiences to celebrate the history and share it with the visitors to the area and of course enjoy the world-famous apple pie. The trail is a self-guided culinary tour that currently has 40 different stops from markets, bakeries, cideries, orchards, breweries and restaurants and are tied into outdoor activities like biking and hiking. It’s a one stop-shop for lovers of gastronomy and adventure all in one route. A year-round activity, in the fall you have the opportunity to pick you own apples and, in the summer, you can experience Ciderfest. The regions extend from Meaford to Creemore and the change of seasons create a transformation in the trails and the food trends.